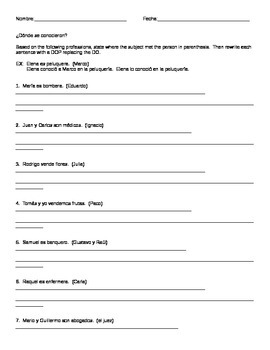 This worksheet practices the verb conocer in the preterite tense. It goes along with Expresate 2 chapter 3 vocabulary. Students will be able to use the vocabulary with conocer in the preterite to say where people met each other.